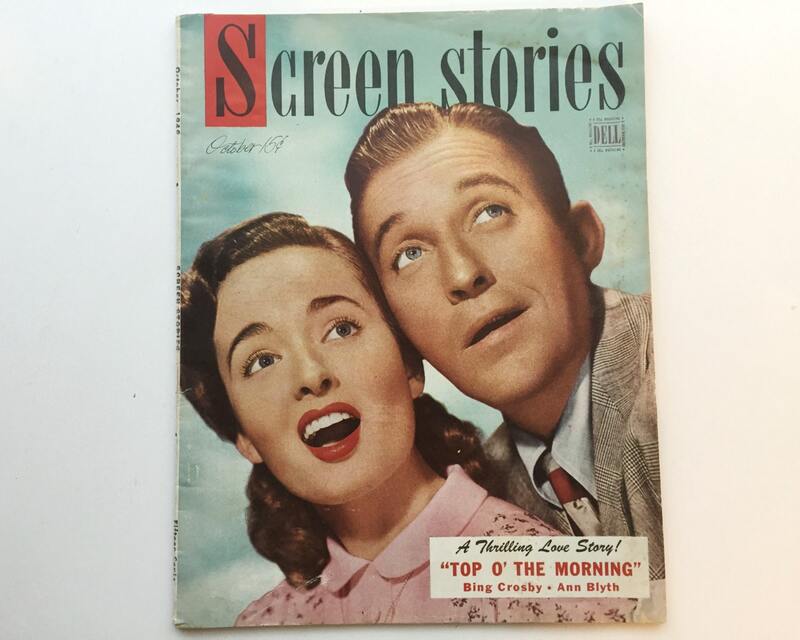 Great old copy of Screen Stories Magazine featuring wonderful crooner Bing Crosby with beautiful Ann Blyth on the cover. 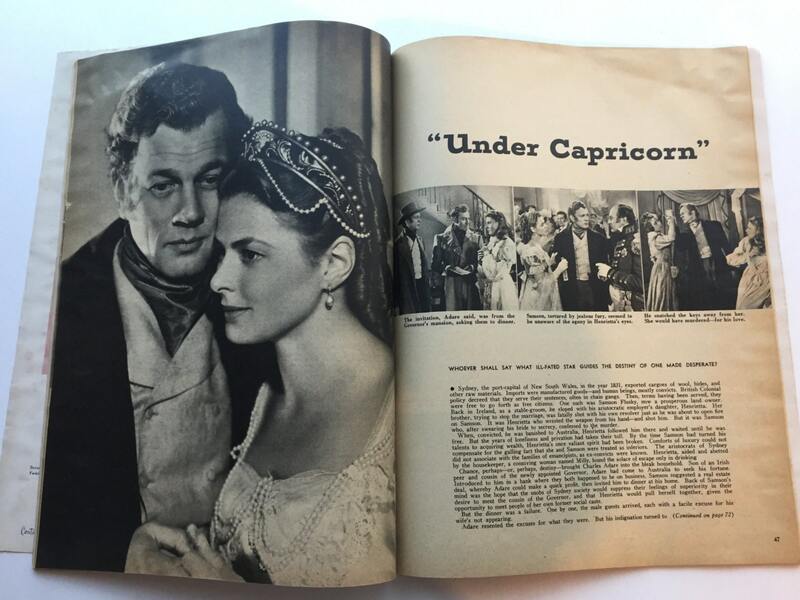 This is the October 1949 issue, also featuring great stills of the movies it covers like "White Heat" with Jimmy Cagney, "Anna Lucasta" with Paulette Goddard, and a "Under Capricorn" with Ingrid Bergman and Joseph Cotten. 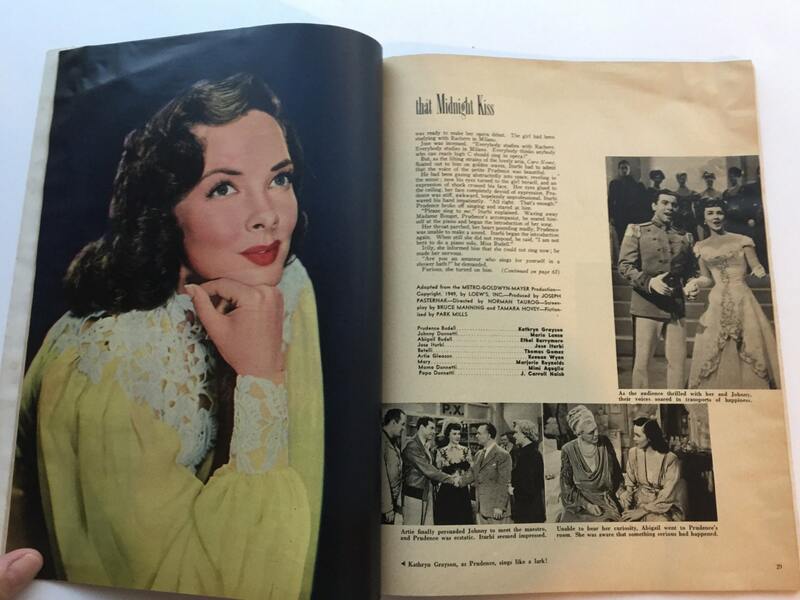 Great movie ads as well as ads from other products. 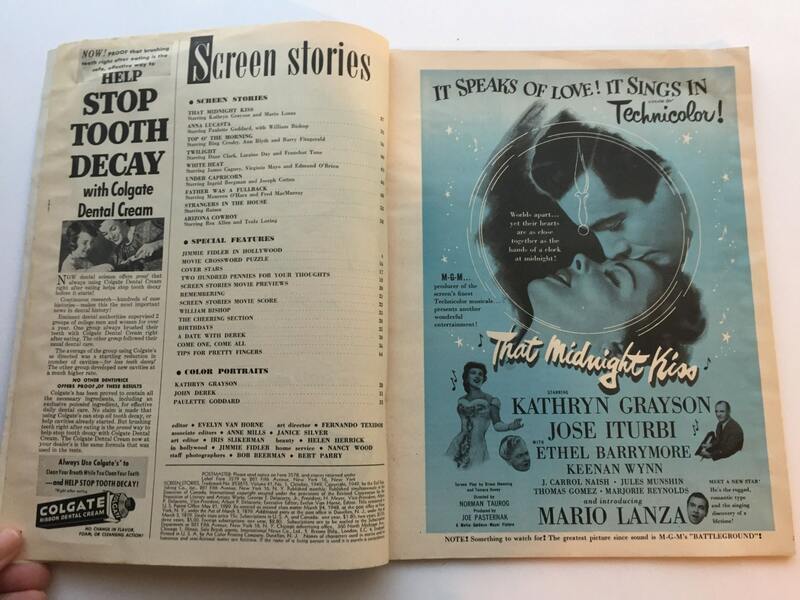 Screen Stories was one of the movie magazines focused on short stories based on movies. 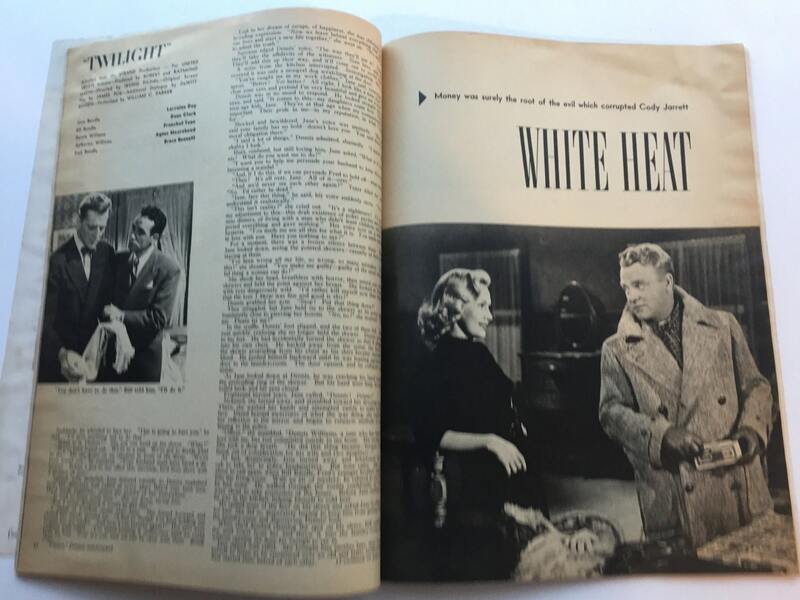 CONDITION: Very good with some slight wear on the spine, and a little tear on the spine, tiny bit of foxing.